These villas are managed exclusively by Pollentia Rentals, if you are looking for something special for your holiday this is the place to look. If you want a five star, hassle free holiday our exclusive villas come with housekeepers, chefs and car hire, to make both your arrival, holiday and your departure as stress free as possible. Why Choose Pollentia Rentals ? We are a niche team of 5, based on the ground in Pollensa. We know the area inside out so can help recommend the right place for clients tastes/ needs. Between us we speak English (3 of us are native), German, French, Spanish, Catalan and a bit of Italian! We tap into our local contacts to be able to provide our clients with some of the best rentals houses on the island. We aim to offer holiday houses and villas that have a home from home feel. From tiny hideaways for two or three people to impressive country homes for 12. We know a lot of people and can recommend tried and tested additional services such as clients, chefs, nannies, car/bike hire, private yoga or personal training classes, take-away paella or tapas. Our phone is manned 24/7 and we can normally get to your holiday property in a few minutes. We are committed to sorting out any problems FAST. All the properties we list have a tourist rental licence and owners sign an agreement to ensure the property is in excellent condition. We are the sister company of Pollentia Properties, so if clients are looking to buy a place in Mallorca, we can help. Our exclusive range of villas, new for 2018, offer the ultimate in luxury and relaxation, chef, and no queue car hire are included. We have grown from 0-100 properties in 18 months. Owners in the north want to work with Pollentia Rentals! We are constantly looking for innovative ways to maximise holiday rentals including getting the best from the main portals, seeking out new portals, social media, our SEO website and networking. Let us do the hard work for you. If you are not renting enough weeks, we will give our honest view of what needs to change – price, décor, missing features etc. We share our insights about holiday makers´ expectations. If the holiday maker is delighted with their stay, everyone wins. All holiday makers agree to our rigorous terms and conditions. We have a zero tolerance for the miss-treatment of houses. You are in the driving seat. We can just list your property on our website, or put it on portals, blog posts newsletters etc. We want to help you fill weeks. We offer a full management service (ideal for overseas owners) or individual services (often useful for local owners) including: cleaning and laundry, pool, gardening, repairs, renovations, regular checks, welcome packs, etc. Please ask for prices for these services. If you have a beautiful townhouse or charming finca that you would like us to list, please do get in touch. We also now rent out apartments long-term. At Pollentia Rentals, holiday rental agency in Pollensa, we are going to tell you all about this sporting event in the north of Mallorca. 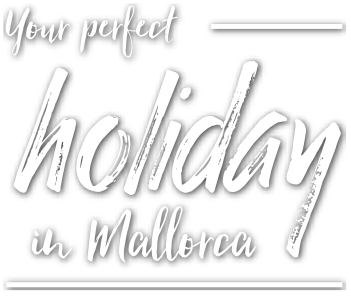 Pollentia Rentals, holiday rental agency in Mallorca, offers a wide range of holiday villas for the Mallorca 312. Given the international nature of the Mallorca property market, a lot of our clients have a need for currency exchange.